This book is a beginner’s guide to rolling sushi. 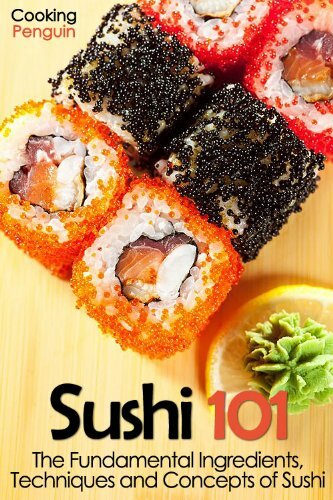 It is clearly laid out with simple explanations of all of the fundamental recipes and techniques required for making delicious and healthy sushi at home. On your first attempt your will impress yourself and soon you will be impressing friends and family with the amazing food you are able to prepare; three different styles of sushi with many different types, a variety of sauces, and Japanese pizza or Okonomiyaki. These recipes are great as a meal or a snack; serving sushi at your next party is sure to be a hit with your guests.